Swinging Mademoiselle Vol 3 LP Just In From France! 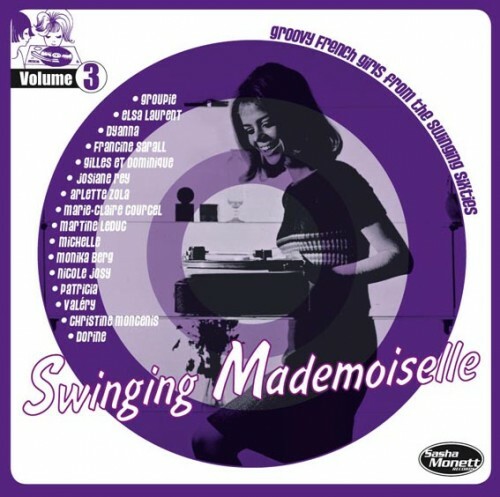 The person who compiled the album PROMISES this to be the final volume of the Swinging Mademoiselle series, of which the last volume was issued 10 years ago. This LP is also a companion to Girls in the Garage Volume 12 which is available for purchase here. Swinging Mademoiselle Volume 3 contains fabulous French female garage, psych, freakbeat and pop tracks (some from Belguim and Switzerland) recorded between 1963 to 1972 though most fall in to the ’65 – ’68 time frame, all from vinyl singles, in superb sound quality with a fully annotated (in French and English) and illustrated insert. This volume features Valery, Michele, Dorine, Arlette Zola, Dyanna, Gilels et Dominique, Josiane Rey, Marie Claire Courcel, Nicole Josy, Patricia, Monica Berg, Francine Sarall, Christine Moncenis, Groupie, Elsa Laurent, and Martine Ledug. Please be advised that even with careful shipping from France, the sealed album jackets have a small ding in one corner. Not bad enough that it should sway you away from purchasing the record but noticeable enough to where we wanted to tell you about it. 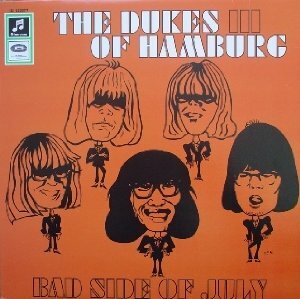 Limited represses of two Dukes of Hamburg LPs!